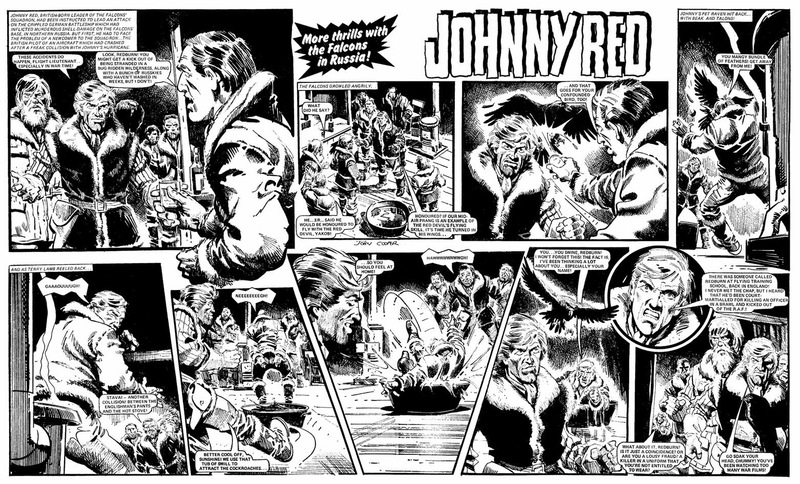 John Cooper, who has died aged 72, had a career in comics that spanned five decades and dozens of characters, although it will be for two action-packed and often violent strips that he will be remembered, one the memorable precursor to ‘Judge Dredd’. In 1975, John Wagner was appointed editor of the ailing Valiant, whose sales had fallen in line with many other comics during the turbulent early Seventies oil crisis. Cover prices had soared and Wagner was tasked with updating the comic for a modern audience. Wagner’s key creation for the relaunch was ‘One-Eyed Jack’, a tough street cop based shamelessly on Clint Eastwood’s Dirty Harry. Cooper took Eastwood as his model for the artwork and gave him Steve McQueen’s Mustang (from Bullitt) to drive. Wagner’s scripts were gritty, violent and often blackly humorous, a style of writing he would continue when he created Judge Dredd—another violent cop in an east coast American city—for 2000AD soon after. 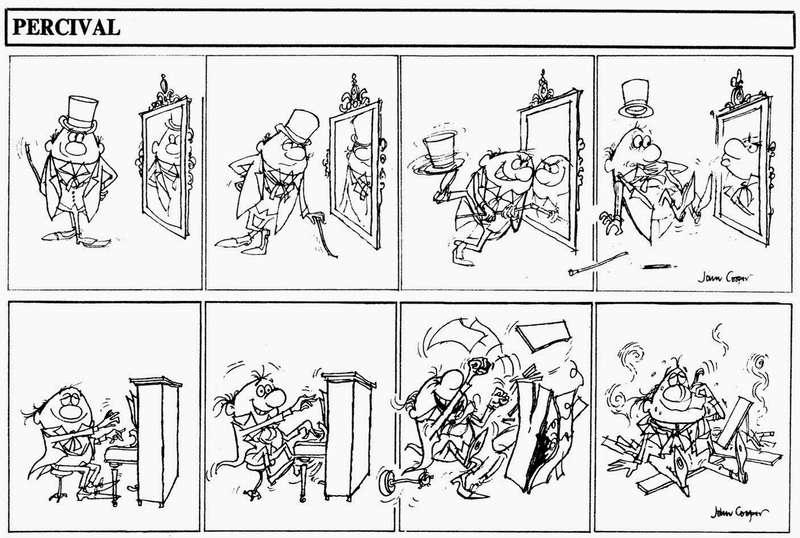 Cooper was one of the first artists to draw the new character, but his story, ‘Mugger’s Moon’, was held back. 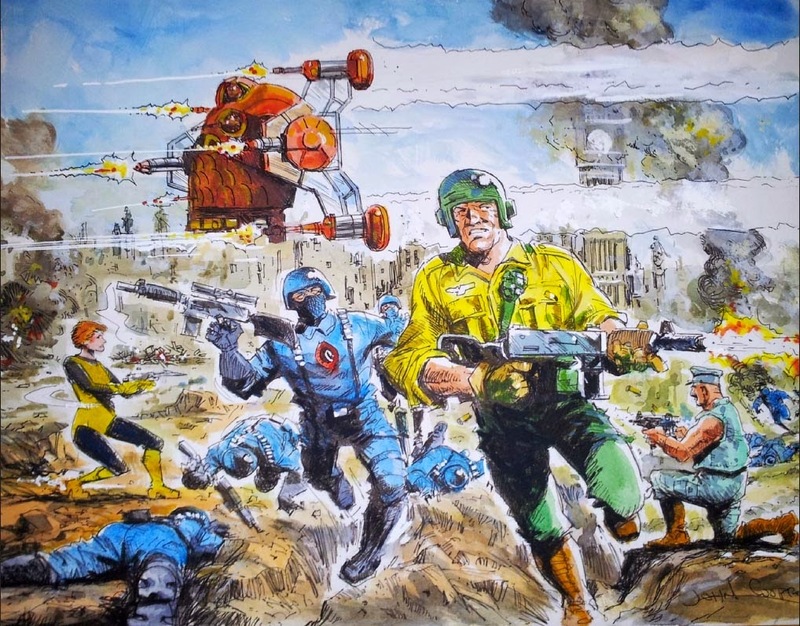 Cooper later claimed that he had been asked to tone down the violence—his artwork arriving in the 2000AD office just as another comic, Action, was pulled from the newsstands. “They sent it back to me and said, ‘It’s too violent, John’,” Cooper said. “These muggers come after [Dredd] with guns and he just blew them all away—holes straight through them. I loved drawing that.” A toned-down version, with guns replaced with baseball bats, was eventually published in issue 19, by which time other artists (notably Mike McMahon) had established the look of Dredd and a cityscape that no longer matched Cooper’s version. Over the next five and three-quarter years, Cooper was able to make the strip his own, eventually drawing over 1,100 pages of Johnny’s adventures spread across 303 episodes in the weekly comic, summer specials and annuals. John Cooper was born in Featherstone, West Yorkshire, in May 1942, the son of Ernest Cooper and his wife Winifred (née Hollis). As a boy, he learned to draw by copying comics, a constant in a life spent travelling to wherever his father, a one-time bus driver, found employment as a pub landlord. After growing in in Castleford and Wakefield, the family settled in Doncaster and young John helped tend the bar whilst studying in York and at Wakefield Art College. After working for a shopfitters in Wakefield and for Falcon Studios in Leeds, Cooper decided to go freelance after a conversation with a patron at his father’s pub. 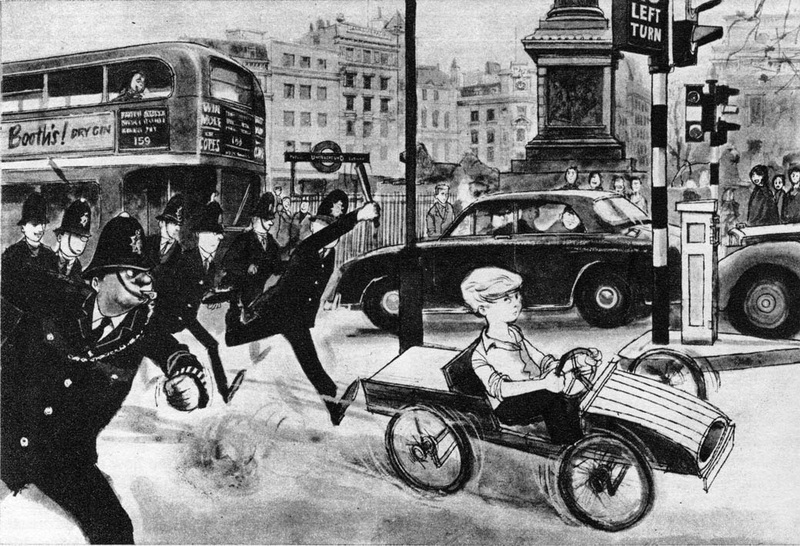 He picked a London agent, randomly choosing Billie M. Cooper because of the coincidence of names, who soon found him work, his earliest illustrations appearing in Swift, Girl, Eagle and Boys’ World annuals in the early 1960s. Cooper then found work with a group of titles based around the puppet show creations of Gerry Anderson, his first strip (‘Agent 21’) appearing in the 1968 TV 21 Annual. 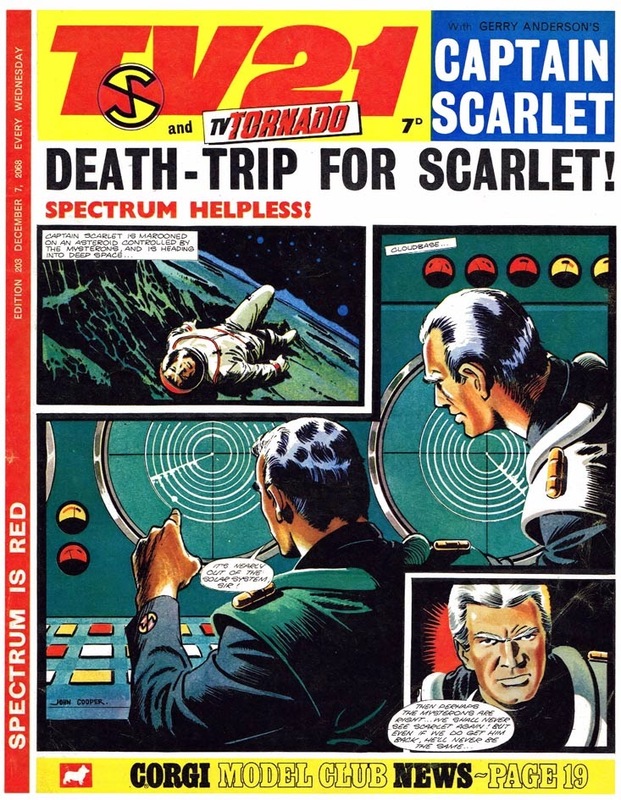 After briefly taking over the lead strip for Lady Penelope in 1968, Cooper worked more extensively on ‘Captain Scarlet’ in TV21 and took over ‘Thunderbirds’ in the relaunched TV21 & Joe 90 from Frank Bellamy, drawing the strip for eight months. 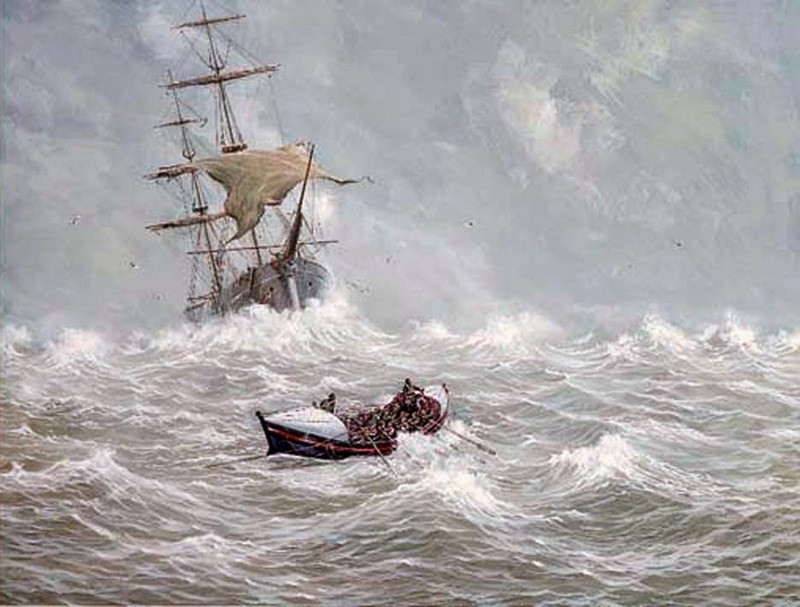 Cooper continued his association with television shows at Look-In in the 1970s, drawing ‘Flight to Fortune’, ‘Doctor in Charge’, ‘Doctor at Sea’ and ‘Man from Atlantis’ as well as drawing for the girls’ comic Mirabelle, a task he was ill-suited for. 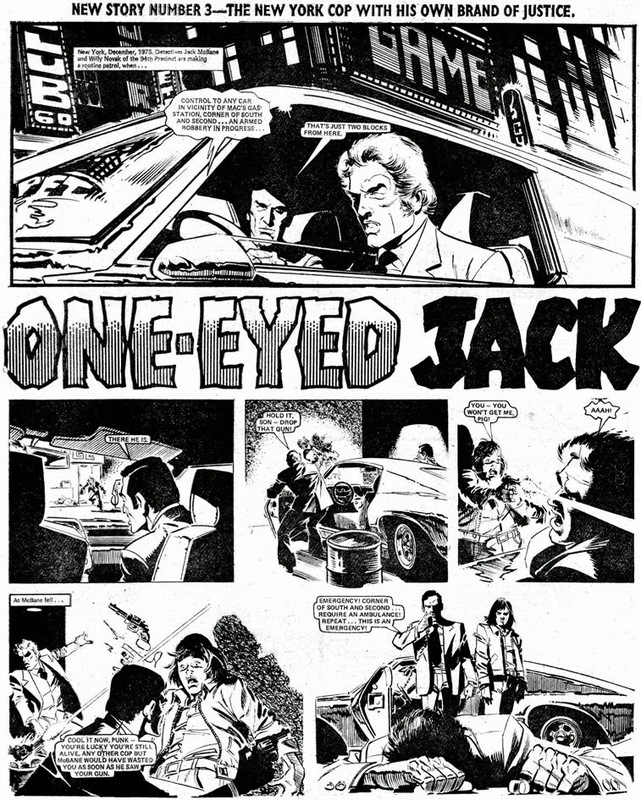 He hit his stride in 1975 when he was offered ‘One-Eyed Jack’, which he continued to draw when Valiant merged with Battle Picture Weekly a year later. In keeping with the war theme, Jack transferred from his New York precinct to become an agent for American military intelligence. 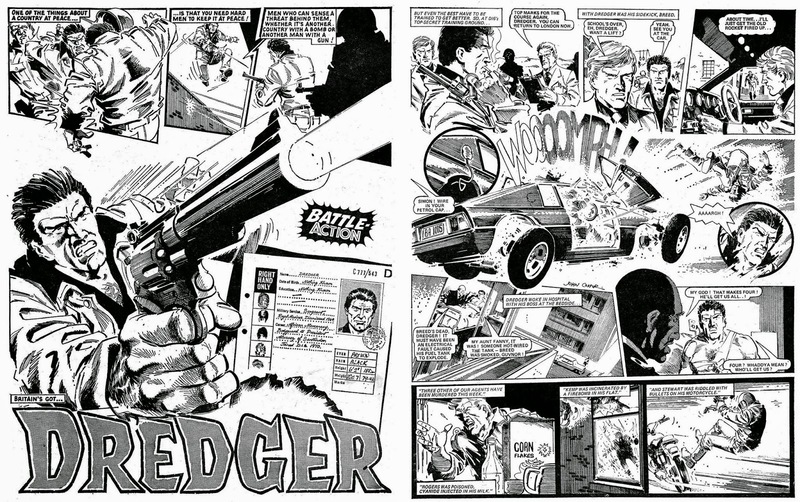 Following Jack’s demise in 1977, Cooper drew ‘Gaunt’, about a British spy seeking revenge after his hand is crippled by an SS, before taking on ‘Dredger’ and ‘The General Dies at Dawn’ in the newly renamed Battle Action. 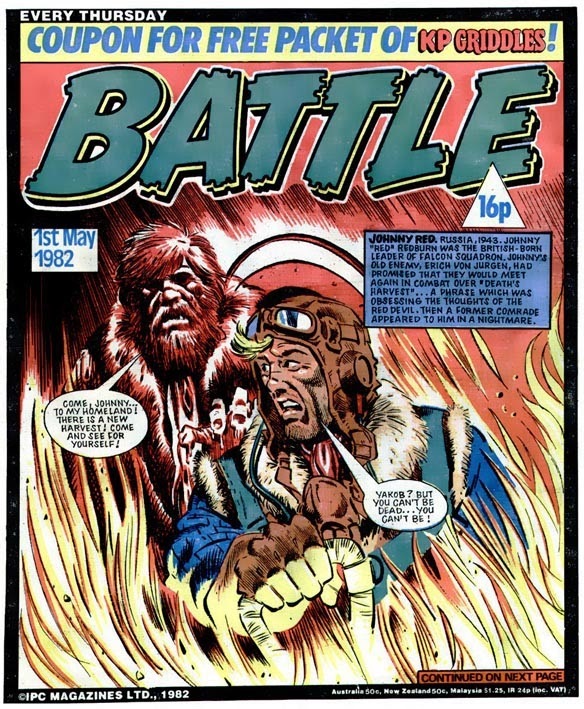 Always speedy and versatile, Cooper rarely limited himself to just one strip and he also drew number of war strips for D. C. Thomson’s Warlord, including ‘Sergeant Heavy’ and ‘The Wingless Hawk’, and complete stories for Eagle and Scream!!. In 1983 Battle Action joined forces with Kenner Products to promote the Action Force toy line, eventually becoming Battle Action Force. Cooper became one of the main artists in the ongoing battle against Cobra for two and a half years. Coopers’ output continued to appear in Eagle (‘Ultimate Warrior’ / ‘Computer Warrior’), Battle (‘Stormforce’), Mask, Ring Raiders and Victor, where he drew one of Thomson’s classic characters, ‘Morgyn the Mighty’. In 1990, he was asked by David Hunt to draw a football strip and, although he had no great love of the game, he took to the task with relish, eventually drawing ‘Goalmouth’ and ‘Hammersmith F.C.’ for Roy of the Rovers and working with Peter Nash on ‘Striker’ for the Sun newspaper. During the Gerry Anderson revival of the early 1990s, Cooper found himself once again drawing Stingray, Captain Scarlet and Thunderbirds. With boys’ comics in short supply by the late Nineties, Cooper drew a parody football strip, ‘Roy of the Losers’, for Private Eye until the early Noughties. He also worked for the BBC, ITV and Channel 4, drawing caricatures and illustrating news stories where no visuals were available. Cooper was an early adopter of computers for work, and would take a drawing made with brush and pen and scan it into an Apple Mac, where he could make any finishing touches using Photoshop. Following the publication of a short graphic novel Richard the Lionheart: The Life of a King and Crusader by David West & Jackie Gaff (Brighton, Book House, 2005), it was suggested that Cooper contact 2000AD again. This led initially to a one-off ‘Tharg’s Terror Tales’ episode in 2006 and then to taking over the futuristic crime drama (and Judge Dredd spin-off) ‘Armitage’ in 2008 in Judge Dredd The Megazine. His last episodes appeared in 2010. In later life, Cooper suffered from chronic obstructive pulmonary disease, which often left him tired and breathless. Although retired from comics, he satisfied his urge to keep drawing by producing maritime paintings, which found a ready market. In 2010, Cooper and others helped raise money to fund a new local RNLI lifeboat in Bridlington, which Cooper dubbed the Windsor Spirit at its naming ceremony. Cooper passed away on 22 February 2015 after a short illness, survived by his second wife, Lesley, and two children from his first marriage.